Reduce, Reuse and recycle is the slogan of the 21st Century with a lot of meaning and commitment towards green energy savings, increase corporate social responsibility and commitment for the reduction of C02 emissions. This slogan and commitment is also known as the three R’s initiative and it is the slogan of the 21st century for now and the future. In order to understand this commitment and the drive to Reduce, Reuse and Recycle we must get the facts right and realize that, however small our contribution in any of the three R’s is, we can all help to make the difference. In this campaign we will see whole societies and cities getting involved. 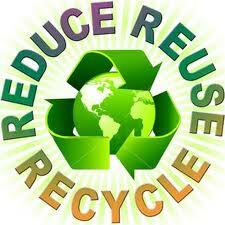 We can find Reduce Reuse Recycle songs, pictures and logos in many initiatives. We can also read Reduce Reuse and recycle facts for kids and worksheets with actions listed for kids and their teachers to adopt. It is probably one of the few globally embraced campaigns. But what exactly do we mean by stating: Reduce, Reuse and Recycle? It is a concept, an idea and a vision to involve everyone and every community in saving energy, reducing the C02 emissions with simple and specific actions. The choice of the words and actions which go with them describe in short the waste hierarchy structure. The waste hierarchy is in most cases specified by the actions: Reduce Reuse Recycle and Recover, 4 R’s, and in Europe there is a fifth step in the hierarchy, the Disposal. Recycle: recycle as much as possible from the waste that goes out of the house, the restaurant, the company, the community and the factory. How does this help? By adopting the 3 R’s we reduce the amount of energy needed for our everyday living. In some cases we can also use the waste to produce electricity through the gasification process or we produce fertilizers through the process of composting. Different organizations and different green initiatives have used different Reduce Reuse and Recycle logos and symbols to promote the activities and initiatives in which they were engaged. A simple search over the internet one can get an idea of the abundance and variations of the 3 R’s logos. Believing that the best initiatives are the ones which lay their foundations right, the 3 R’s concept and initiative has initiated the Reduce Reuse and recycle facts for kids that can be used both by teachers and students to get educated, understand and promote the ideas of the waste hierarchy and green initiatives. There are also worksheets for kids that help them and guide them through a step by step process to understand and incorporate any of the 3 R’s in their life. There are for instance worksheets for kids about recycling. There are also songs written and played during the courses about the environment that help kids memorize the actions and responsibilities they have for preserving the environment and help for the reduction of energy waste, reduction of CO2 emissions and the promotion of Green Energy. By unplugging devices from the electricity mains we reduce the consumption of electricity. You should know that even standby devices consume electricity. Reuse the towels during a stay at a hotel so that the hotel will use less energy and water to wash them again. Recycle paper and glass so as to reduce waste and enable them to be reused for something else. As we can understand the 3 R’s initiative is more than an initiative it should become a way of life that should be embraced and adopted by all so as to make it a success. The encouraging fact is that more and more people, communities and corporations are adopting the Reduce, Reuse Recycle campaign. Next post: Prison inmates produce Green Energy through Cycling!